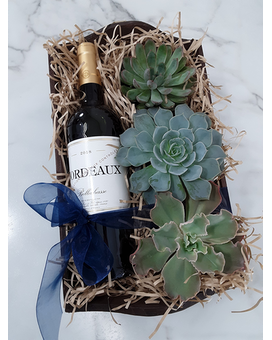 An intimate pairing of wine and succulents in their own containers presented together in a wooden box. Please select red or white wine during checkout. Succulent variety and wine selection will vary.